When you’re looking for accommodation in Niseko, you might be tempted to think only of proximity to the slopes. 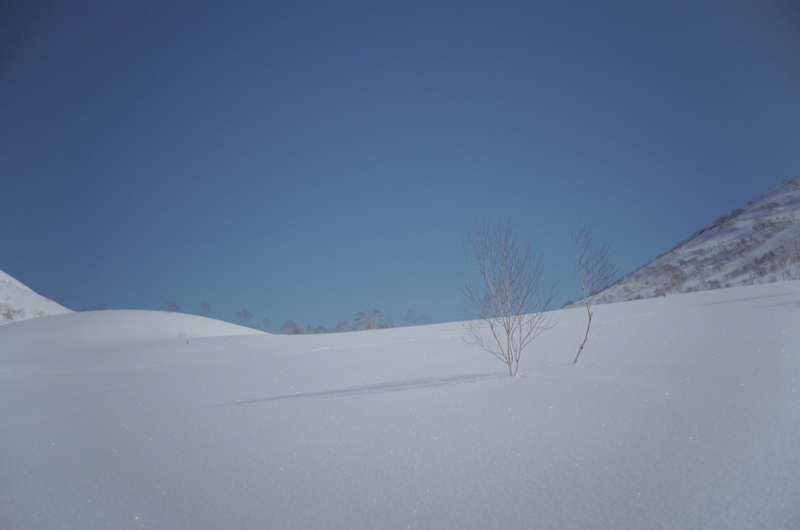 But there’s so much more to be gained from a stay in Niseko than just easy access to the mountain. Muse Niseko brings you within minutes of the ski lifts – and offers so much more. As an opening act, Muse Niseko delivers serious wow factor. The building was designed by Tokyo-based architect Riccardo Tossani and features ancient Japanese characters scrawled on the walls of its corridors. A mixture of light and dark tones blend with the winter landscape outside, which includes killer views of Niseko’s most famous resident, Mt Yotei. Our team of six checked into apartment 401, a fabulous four-bedroom apartment which was ideal for our group. The spacious bedrooms were spread apart so we never felt like we were on top of each other. 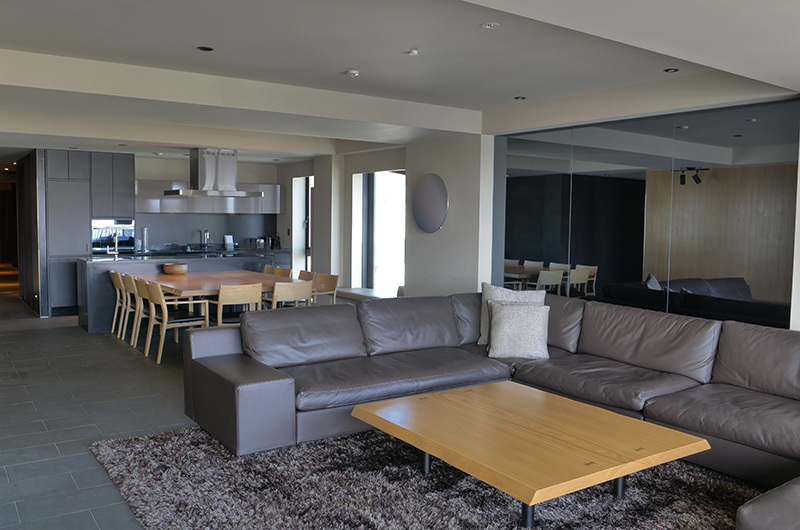 The generous layout is just one of the things that makes Muse Niseko a fabulous property for entertaining. It’s clear that these apartments have been designed to wow the crowds – and we’re not just talking about the views. 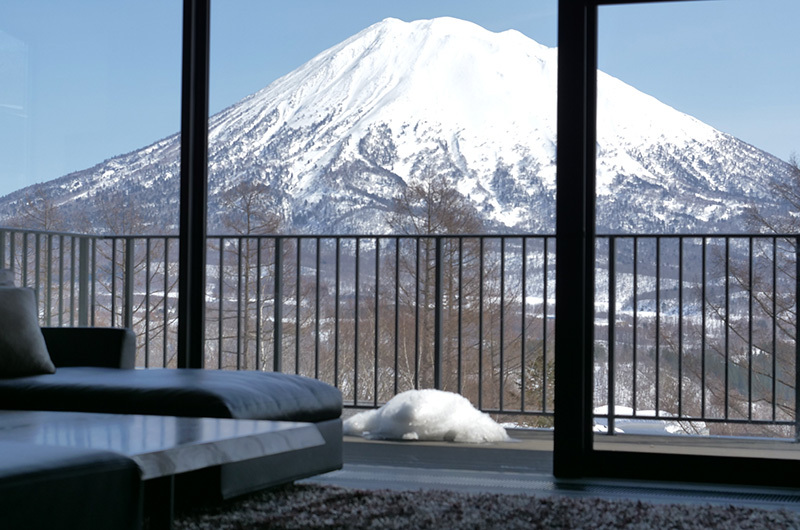 Muse Niseko also features a serviced rooftop terrace and garden. This exclusive space is accessible directly from the penthouse or by a separate lift from the lobby. The terrace includes a bar counter, barbecue, fireplace and plenty of room for après-ski entertaining. Booking the venue beforehand is essential – but more than worth it if you’re looking to host an unforgettable event. We loved curling up beside the fireplace after a day of exploring snowy Hirafu and the 5.1 surround sound was just the icing on the cake. Oh, and did we mention the apartment also has its own teppanyaki bar? 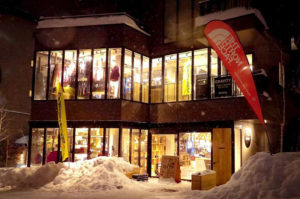 Muse Niseko offers a fantastic location in the heart of Hirafu. The property is located directly along the main Hirafu Boulevard which is lined with restaurants and pubs. To sum it up, we were within walking distance from everything. The closest ski lifts (including ACE Family Lifts and the Hirafu Gondola) are within a 10-minute walk from the apartments. If you’re feeling lazy, don’t worry: the resort shuttle stop is metres from the property. Muse Niseko’s management also provides an exclusive morning shuttle service to the slopes – our secret weapon for beating the crowds. Muse Niseko’s location is not only great for powder junkies – it’s also fantastic for foodies. The property is located directly across from Kamimura, a Michelin-starred French restaurant which is an absolute must-try in Niseko. Other highlights waiting just around the corner include Crab Dining Kanon and Ezo Seafoods Oyster Bar. As Muse Niseko’s apartments feature fully-equipped kitchens, it’s also convenient to have the Seicomart and Lawson Station close by. We loved having the option of dining in on the nights when we just couldn’t tear ourselves away from the fireplace. 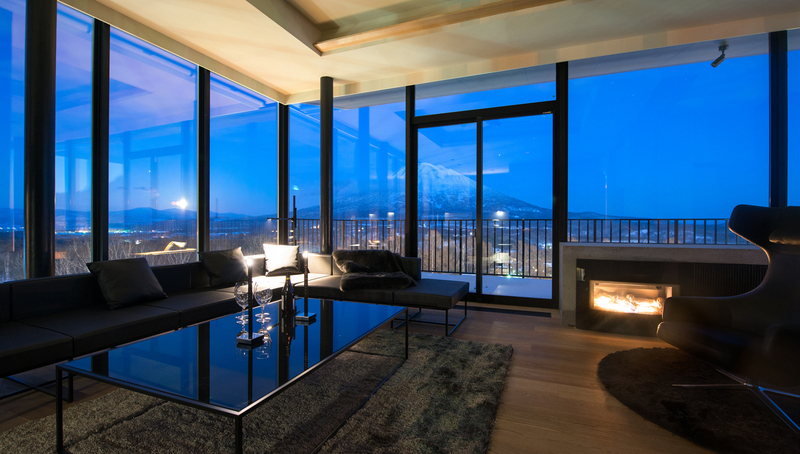 A residential lift connects Muse Niseko’s lobby to the apartments – the extravagant penthouse even has direct lift access. 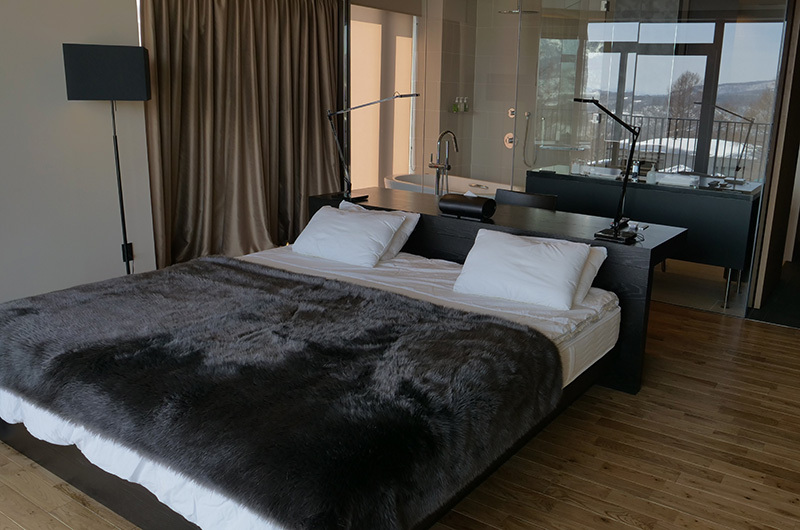 Muse Niseko features 1, 2, 3 and 4-bedroom apartments, so there’s an apartment or combination of apartments to suit just about every group size. Muse Niseko’s design is not just about good looks (although there is a curated art gallery next to the lobby) – it’s also extremely functional. The sleek and stylish lobby is adjoined by a ski room which guests can access through a side entrance using a secure pin code. This means you can head out straight to the snow without having to navigate the lobby in your ski gear. 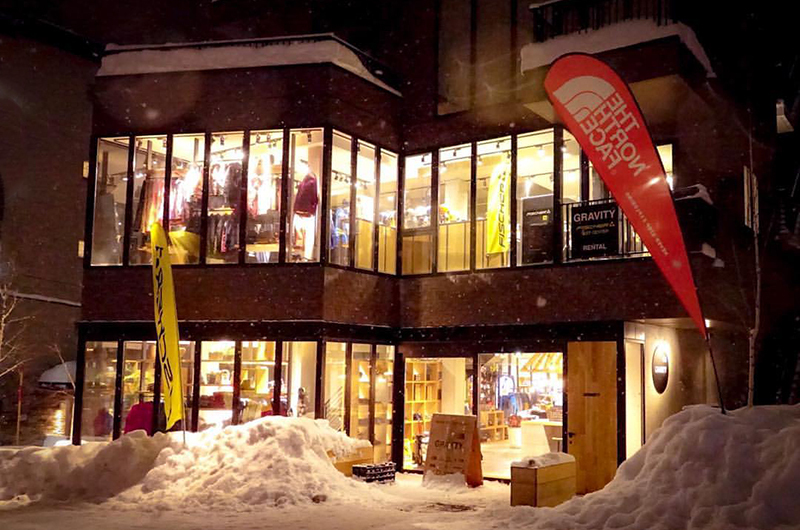 If you need to stock up on some high-quality, high-style winter gear while you’re in town, Muse Niseko also houses Gravity, a North Face retail store and café selling brands including The North Face, Goldwin, Ice Breaker – and fresh hand-dripped coffee. 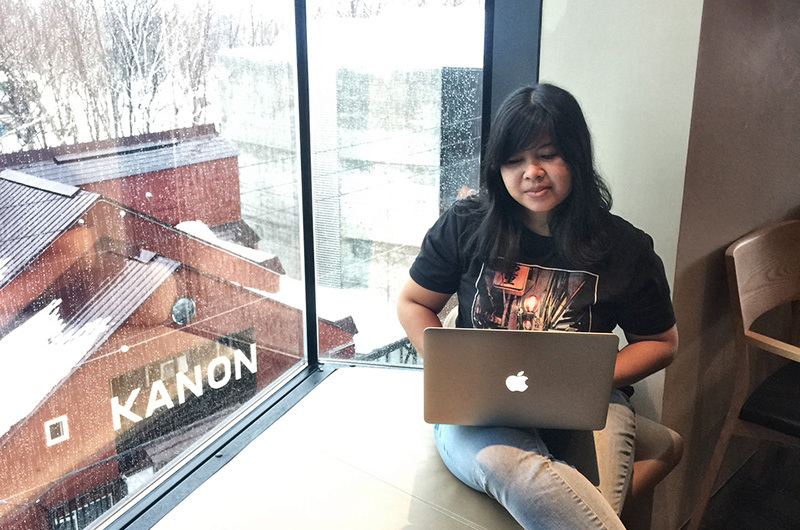 Our stay at Muse Niseko was flawless. The apartments are sleek, extravagant and deliver serious wow factor. There’s nothing quite like sitting by a fireplace while admiring direct views of Mt Yotei. What made our stay perfect was the central location, which allowed us to stroll to Niseko’s best restaurants on foot – and head to the slopes any time we felt like burning off the calories. Check rates and availability for Muse Niseko for your holiday dates.